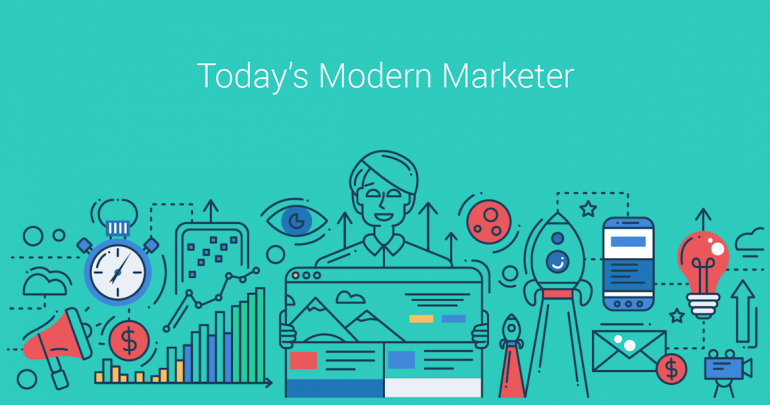 What is a modern marketer today? A techy guy who knows how to install a WordPress theme on a blog? A girl who knows how to look at a Facebook metric to understand her community’s behavior? A guy who is a Photoshop skilled and also knows how to write an article? A girl who knows how to optimize a Google Adwords campaign? Oh, and I almost forgot that you can’t say you are a digital marketer. As in, what is your job? Social media marketing? SEO? Email Marketing? Programmatic Advertising? Content Marketing? And the list can keep going on and on and on. So, what kind of digital marketer are you today? Or, let me rephrase that question – What kind of modern marketer are you today? If you google “modern marketer” the top 3 results you’ll get are headlines from Forbes, Oracle, and Traackr: “Ten Good Habits Of The Modern Marketer” , “Why You Need To Be A Modern Marketer” and “The Anatomy of the Modern Marketer”. And these results might help you understand what is a modern marketer, but are you open to knowing what the professionals think about today’s modern marketer. This is why I was curious to know what some of the people working in this field think about the today marketers and how they define them. And after you read all the answers I challenge you to leave your opinion about the modern marketer – How do you define today’s modern marketer? Today’s modern marketer takes traditional strategies — direct marketing, advertising, personal selling, sales promotions, and publicity — and can now choose to execute them over two additional sets of channels, the Internet and mobile devices. Those channels also allow for a greater variety of content format to be used in those strategies. Traditional and digital channels each have their positive and negative aspects, so smart marketers need to know when to use which ones. Today’s modern marketer is a storyteller, trust builder, and data geek – someone who knows they don’t know it all and surrounds themselves with people smarter than themselves. They seek out the next thing and monetize the ones that are working now. It is a new realm, a fun one too, but one that has moved so far beyond the 4Ps of my University days that makes modern marketing seem like maybe now it is growing up. Today’s modern marketer is someone that knows how to set up the correct funnels for attracting and converting sales-ready leads using traditional frameworks – then relentlessly tests those frameworks to maximize every micro conversion leading to an aggregate increase in profitability. A modern marketer creates messaging that educates, entertains or convinces customers on the channels where they are most active. They aren’t afraid of experimenting and adapting to changes in the marketplace to succeed. Being a marketer is more difficult than ever today, which makes the job all that more rewarding. I think you just need to be an domain expert in 2 or more marketing channels (online advertising, content marketing, PR, social media, partner marketing, etc.) – two or more because the individual marketing channels are becoming increasingly integrated, and the marketers who will advance in their careers the most will be the cross-functional ones. Today’s marketer is no longer channel specific, they’re t-shaped and understand how to leverage various marketing strategies and channels to achieve their goal. 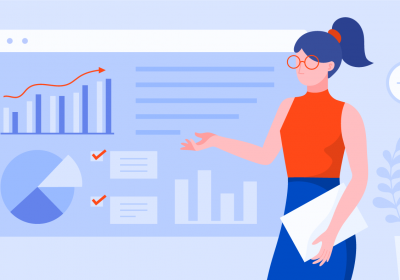 Due to the new Omnichannel approach, it’s critical that they understand multi-channel attribution and a good understanding of data and the buyer journey. Even if you are absolutely sure that your product/service is one of the best on the market, what you think of your brand is not nearly as important as what your consumers think of it and say about it. They are, after all, the market! To be a humble brand, you need to first listen. Thanks to social media, brands can gather vast amounts of valuable information about consumer preferences… but the humble brand needs to go well beyond data gathering and actually listen to the consumers. Real listening requires a willingness to place consumers’ opinions above the brand’s own (usually biased) view of itself and to even make product/service changes based on that feedback. A humble brand also needs to stay engaged with consumers. Brands tend to fall short on this one because real engagement takes time, attention, and overall effort, but I can assure you that working in a vacuum is one of the biggest mistakes a brand can make! A one-time Tweet, a quick Facebook posting, Instagram posts and/or Snaps every day, or an email here and there is an announcement, not engagement. Engagement requires a brand to be available to consumers… answering questions, offering useful content and solutions to relevant consumer issues, providing helpful community forums and feedback venues, etc. A humble brand focuses on the relationship before the sale. When a brand adopts the marketing philosophy that it is all about relationships, they automatically begin paying more attention to the consumer needs and preferences to learn who the consumers really are. Consumers who feel valued by a brand will, in turn, assign value to the brand by buying the product/service and passing recommendations on to their networks…Trust and Loyalty. The sale then becomes a natural part of the ROR, #RonR (Return on Relationship) instead of a “hard sell” effort. It is a new marketplace out there – let your brand lead by modeling how effective true brand humility can be. #NoLetUp! A modern marketer is someone who thinks outside the box and is leveraging all aspects of the business in effort to help grow traffic and sales. For example, you could add an invite flow to your product (like Dropbox did) to potentially drive more users. This is an example of a tactic a modern marketer might leverage. Today’s modern marketer needs to be part artist and part scientist as technology becomes an essential part of the marketing skill set’. You can buy attention (advertising). You can beg for attention from the media ( old school PR). You can bug people one at a time to get attention (sales). Or you can be a modern marketer by earning attention. Create something interesting and valuable and then publishing it online for free: a YouTube video, a blog, a research report, photos, a Twitter feed, an ebook, an infographic, a Periscope stream. Today’s modern marketer is typically stretched pretty thin as marketing is required to partner with more areas of a brand than ever before. Marketers are best friends with anyone in their company who is client facing so that they know the needs of the consumers they’re trying to reach. Marketers have constant meetings with sales colleagues because marketing and sales are now one big pool of collaboration and communication instead of two separate departments. At least, it should be. While the modern marketer is collaborating and communicating internally, let’s not forget their primary job is to amplify the voices and messages that consumers actually want to hear. Thus communicating with all marketing relationships and nurturing a reliable and personalized influencer network is another defining role of the modern marketer. Modern marketers use the digital, social tools available to them. They use data to inform their decisions. But they also use an artist’s sensibility. Because great marketers need heart as well as brains. To me, modern marketing is all about building loyal audiences. Today, we have the technology and access to build subscribers to our content that begin to know, like and trust us. It’s an old, but simple concept. I believe we are moving away from interruption as the key to marketing to true relationship marketing through audience building. I would say that the modern marketer is the luckiest person in the world. When you practice modern marketing, you do nothing but express yourself. 1. Creativity – modern marketing allows me to innovate and create something new from nothing every day. When I write something like a blog post, email, or social media post, I access all the books I’ve read, movies I watched, and the music that I listened. 2. Planning and getting things done – without planning and action, the modern marketer becomes a jobless fellow. I cannot work without an action plan, a Trello board, and a Google Calendar. 3. Data-driven strategies – looking at data and understanding what it tells you makes you know very clearly what you have to do next. In my opinion, modern marketers need clarity that can come only from the reports of their activity. I see the modern marketer as a bridge builder, providing value and connections from the company to the community, within the community, and reaching out to new audiences. I think a crucial skill that defines the modern marketer is to be able to rapidly assess digital innovations and determine applicability to the business. A modern marketer has to be a change agent but also know WHAT to change and when. Now back to you, How do you define today’s modern marketer? Hey Robert – the post turned out great! Thanks for including me in such a great list of marketing experts! Great comments from everyone. I wholeheartedly agree with all of them. Here is some additional context from 50,000 feet. As a CMO for commercial enterprises, there is one primary goal – improve the valuation of your organization. IME, that requires strong revenue growth (William) and compelling branding/positioning. Is that modern? Is that digital? Not really. All of the underlying challenges are changing, rapidly. Markets are changing as generational influence shifts. Products are changing with innovative new offerings. Technology is evolving at its usual blistering pace. And, our tools as marketers are changing (Ann, Larry, Samuel). Is any of that new? What is different is the speed of change. That means, at the highest level, the modern marketer must be more agile than ever before. She needs to be more perceptive about her surroundings. That means data but also being a student of the environment, not just a marketer. And, most critical, he needs to understand the context in which his products/services are consumed and the resulting experience it creates to develop strong empathy that leads to better relationships with the market (Ted, Joe). Very similar to Mark’s point of view. Pingback: What Kind Of Marketer Am I?